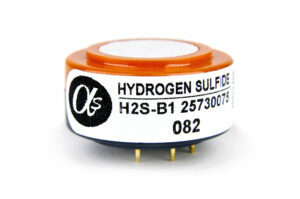 Alphasense Hydrogen Sulfide gas sensors operate using well-known fuel cell technology. With very high sensitivity and low zero, accurate and stable readings are possible when measuring current concentration ranges from ppb to 1% H2S. See application note AAN-105 for circuit design tips. Compare Alphasense Hydrogen Sulfide sensors – sensor specification summary.